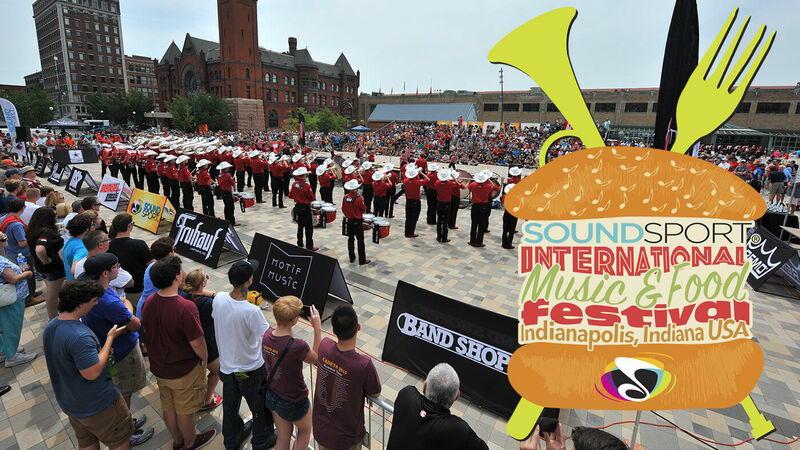 This August, the SoundSport International Music and Food Festival will bring a brand new family-focused community gathering to downtown Indianapolis as part of Drum Corps International World Championship festivities. Building upon the wildly popular SoundSport® and DrumLine Battle™ events now in their fourth year, this newly branded event will feature more than 35 ensembles from the U.S. and Canada and as far away as Hong Kong and Colombia to compete in downtown Indy the morning and afternoon of Saturday, August 13. Spectators look on from every angle during the third-annual DrumLine Battle in Indianapolis in 2015. 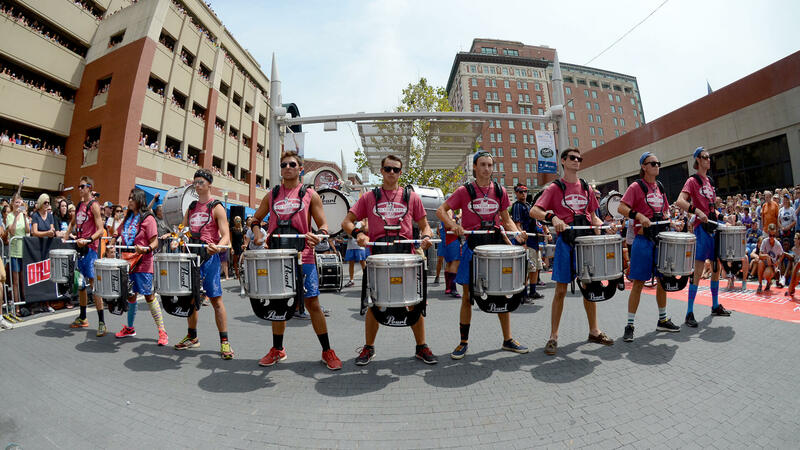 With the popularity of SoundSport and DrumLine Battle in recent years among spectators and with a growing roster of groups slated to perform, Drum Corps International will spread out the action over three stages around Pan Am Plaza, located right in the heart of downtown Indy. The newest venue for 2016 will be the Pavilion at Pan Am, which will house all of the SoundSport action. Once the home of the Indiana World Skating Academy, the facility has been completely renovated in recent years into a multipurpose indoor performance theater and event space. “With stage lighting, video screens and 900-seat bleachers with 360-degree views of the performance area, this intimate venue will be one of the most exciting stages we’ve ever used for SoundSport events around the world,” DeNovi said. Admission to all performances as part of the family-friendly SoundSport International Music and Food festival will be free and open to the public on Saturday, August 13. 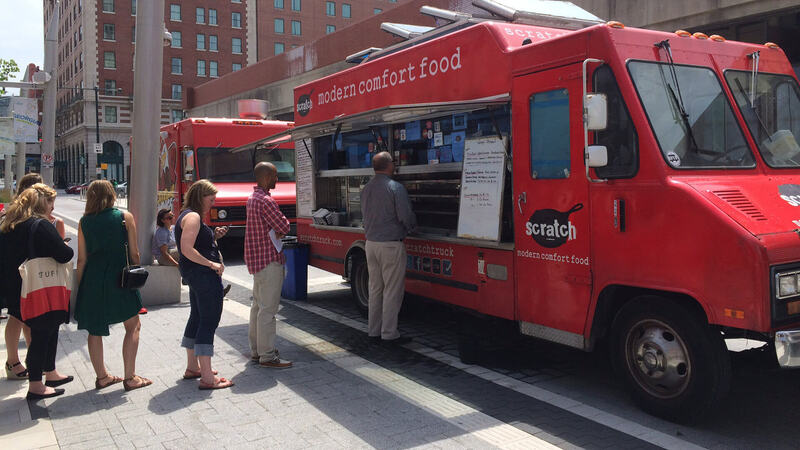 Performance slots and vendor spaces are still available for 2016! Email perform@dci.org for additional information and to sign up today!